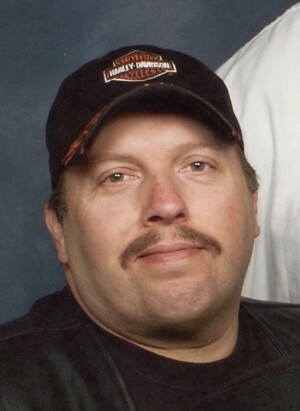 OSWEGO, NY – David R. LaVere, 53, of Fulton, NY, passed away Sunday September 13, 2015, at Oswego Hospital. Born in Oswego, he was the son of the late James and Rosemary (Jenkins) LaVere. He worked as a truck driver for Commodity Specialist in Baldwinsville. David enjoyed hunting, riding his motorcycle and sightseeing. He was a devoted husband, a wonderful father and doting grandfather. Surviving are his wife, Priscilla (Scoville) LaVere; a daughter, Candice LaVere of Fulton; a son, David Scoville of Fulton; four brothers, Nelson LaVere of Minetto, John LaVere of North Carolina, Raymond LaVere of Minetto and Daniel LaVere of Minetto; three sisters, Alice Nield of Fulton, Gail Lindsley of Florida and Margaret “Peggy” LaVere of Oswego; a granddaughter, Scarlet LaVere; many nieces and nephews. He was predeceased by a brother, Jeffrey LaVere; and two sisters, Linda Duciaume and Connie Vivlemore. Calling hours will be held 11 a.m. to 1 p.m. Wednesday, with a service to follow, at the Nelson Funeral Home, 11 W. Albany St., Oswego. Priscilla, we were very sad and heartbroken for you when we just heard of your husband’s passing. Our thoughts and prayers are with you. We would like to come visit you..please email us your address honey. Again, God Speed and our love is with you. I am so sorry for the loss he was a great guy, used to see him a lot at Budweiser. We in security worked close with him. I pray for the family at this time. So so sorry for you all he was a great man and those who knew him knew what he was like would give the shirt off his back to help all in need prayers and thoughts to you all!!! !